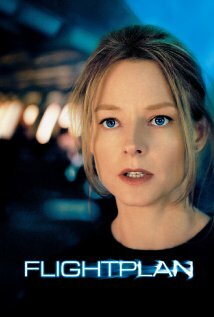 While looking through the selection of DVDs available at my local library, I came across the title Flight Plan and considered checking it out for my daughters. I love introducing Katie and Hollie to movies, especially films that I have seen several times. I believe that the mind cannot resist answering a question; so when I asked myself why I was drawn to a plot about a grieving widow and her missing daughter, I put on what Hollie calls my “thinking face” and waited for the answer. It came when I realized that I watched this 98-minute movie again and again for the one minute when the main character showed everyone on the plane that she was right and they were wrong. Proving people wrong sounds like a bad thing, especially after coming off a summer where I often felt misunderstood and always made the situation worse by trying to explain myself. What was it about Jodie’s character that allowed her to look like the victor, instead of a villain? This question motivated me to compare the movie to my own situations. When I did, I found that one key difference emerged: Not once did she say “I told you so” to anyone. Proving people wrong is a good thing: Gloating is not. Maybe that’s why Proverbs 10:19 tells us that when words are many, sin is not absent, but he who holds his tongue is wise. I want to be wise. To let my actions do the talking and let go of the need to explain myself to everyone. Jodie’s character held her tongue as she walked by her fellow passengers in the final scene of the movie and I have to think that my summer would have been a lot less stressful if I had resolved to do the same. The only thing worse than a sore loser is a smug winner. And in the pursuit of justice, it’s the telling—not the proving—that is wrong.